My name is Nefeli Vontella and I am from Greece. 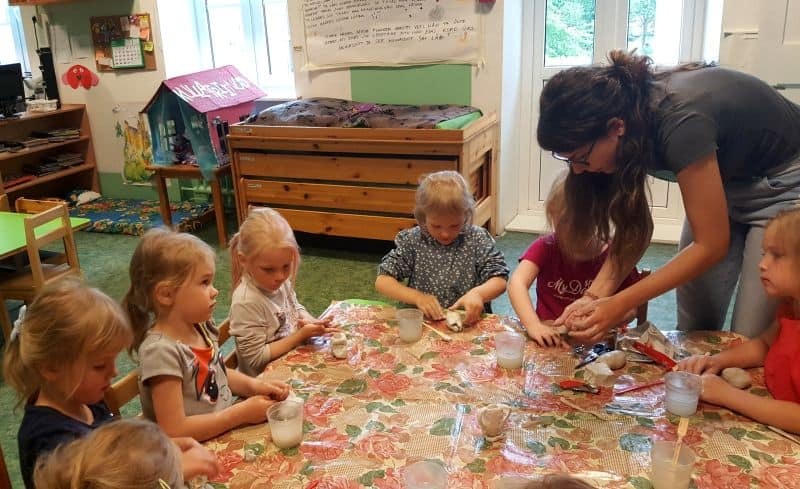 I did my EVS in Tallinn, at the kindergarten Tallinna Kullatera Lasteaed for 9 months. During my EVS, I had the opportunity to do an initiative project, which was about Greece. The project lasted 2 months and every week we did something relative to Greece; it could be an activity inside or outside, cooking or painting. It was a project which included different type of activities. The main goal was the children to learn things about Greece, but I didn’t focus only on that. While doing the project we worked on different domains, such as mathematics, geography and senses. I tried to include different domains so as to be more interested for the children. 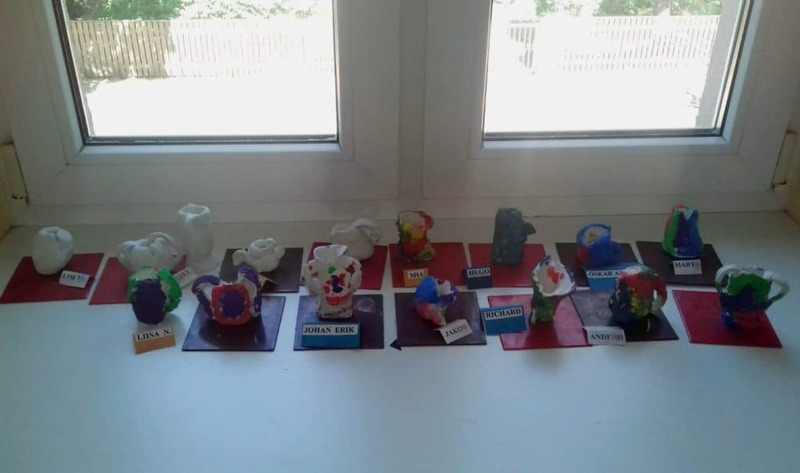 The project started with a presentation so as the kids to learn a few general things about Greece, like where it is, how it looks like, a bit about history and similarities and difference between Greece and Estonia. I was very happy and pleased to hear their comments about what they think of my country. They were amazed by the history and they had many interested questions to make. Like ‘oh why is that building destroyed? We also did some crafts with the children. In the presentation we talked about Greek amphora, their shape shapes, their colors and their use. Amphora is a type of container of a characteristic shape and size, descending from at least as early as the Neolithic period. Amphorae were used in vast numbers for the transport and storage of various products, both liquid and dry, but mostly for wine. I was amazed to see that during the presentation they paid attention to the details and they were inspired by them and tried to do the same. Greek amphora is made out of clay so we tried to create our own Greek amphora with clay. It was a bit challenging to do the shape, but I think that in this age we should encourage them to do more challenging things as the feeling of success after is very important and that’s what they felt. We were also transformed to archeologists to find the Greek amphorae, which were hidden in the yard of our kindergarten. At the end of the project we cooked we did Greek cookies and a Greek traditional pie (spanakopita). Except from the fact that they enjoyed the feeling of cooking, they tried new tastes and also used their senses while cooking, smell, touch, vision and taste. Also, we used mathematics to do the recipe, so we worked on the mathematics skills. The Greek project was a whole new experience for the children in many different ways. I tried to impart the knowledge to them through informal ways, as this is what EVS is about. It was a very exciting project and I enjoyed it as much as my children did. I saw my culture from the children’s aspect of view. Something that for me was something normal for them was exciting and new. Nefeli stayed in Estonia for 9 months within the project ”Boost the Mind” which is funded by Erasmus+ European Voluntary Service program.